A boy who is new to a school. He has a strange name that everyone laughs at, but he wants to make new friends and join in things at school. A boy called Weir and his new friends called Bella and Henry. 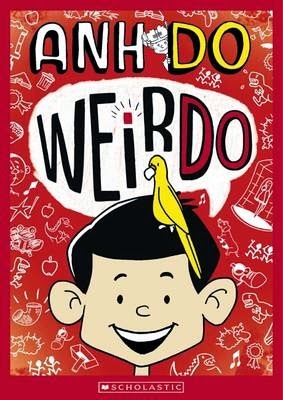 Weir and Henry have problems with a boy called Blake Green, who is a bully at their school. It was exciting when Henry and Weir were about to get in trouble because Blake Green had tricked them into doing the wrong thing, but they ended up becoming friends instead. I didn’t expect the way the story ended. The ending is very funny and there are lots of things happening at once. The illustrations were funny and they helped me to understand the story more. Kids who like funny stories. It is a good book for kids aged 6 – 9. I would rate this story 5 out of 5. - this review by Matthew, aged 9, son of Kids' Book Review Managing Editor, Susan Whelan. Great review, Matthew! And I love your choice of book. I have to say, I think funny books are so important because they really help us read and encourage us to read. Plus, laughing is good!